Water Leak locating can be tricky in most cases the water line running to your home is “metered” for accountability and billing purposes. 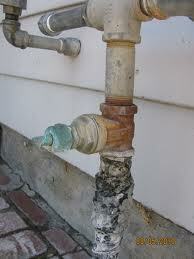 A water leak on your line can be very costly. Yet, even a very small water leak can be found through trying a few simple techniques and can save you from a nasty surprise from your local utility company. If you have been notified that you have a water leak, or think that you may have a water leak here are a few steps you can do before calling a plumber in Scottsdale. The more you do, the less it will cost you in the long run to locate the water leak! Hot Water Heater Check the Pressure Relief Valve on the hot water tank. Sometimes these valves are plumbed directly into a drain or outside the house and may be leaking without your knowledge. If you can’t remove the drain pipe to check for a water leak listen for a hissing sound, it may be the source of your water leak. Check the toilet for a water leak by removing the top off the tank and listening very closely. If you hear any hissing at all, try to locate where it is coming from. If you locate the area where the water leak is coming from, assess it and determine if you can fix the water leak yourself. If you can’t, then call a Scottsdale plumber. If nothing is noticeable, add some food coloring and put a couple of drops in the tank (not the bowl). Wait several minutes and if you have coloring in the bowl, you have a water leak in the flapper at the bottom of the tank that is allowing water to seep through. At this point you can assess if you want to do the repair yourself, or call a Scottsdale Plumbing Service. If you have more toilets, go ahead and repeat the process with each toilet to make sure you don’t have more than one water leak problem. Check all faucets and showers for visible signs of a water leak coming from the faucet spouts and from the shower heads. These types of water leaks can be harder to repair and may require a Scottsdale Plumber to repair properly. (Water Leak) On The Outside of Your House. While this may sound difficult, you can save money if you can locate the water leak for the plumber in Scottsdale. If you can’t see the meter head, try digging around because they sometimes have dirt or grass covering the top of them. 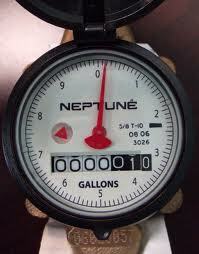 Once you locate it and the valve is turned off by the house, watch the meter to see if is turning. If it is still turning, then the water leak is between the meter and the house. At this point, walk the area between the meter and the shut-off valve. Look for signs of a water leak such as: soft muddy areas, grass that is greener than the rest or growing much faster than other areas. If you see such an obvious sign, call the plumber or assess if you can make a repair yourself. Try and locate a water leak by the house. This will require you to locate all the hose-bibs (hose-bibs are the pipes that you hook your hoses to, in case you were unsure!). Usually an average residence has one hose-bib in the front and one in the back, but be sure to find every one that you have and listen carefully. Once you have located them, take a screwdriver, preferably one long enough to give yourself room to work, and put the metal tip of the screwdriver directly on the metal part of the hose-bib. Put your thumb knuckle on the top of the screwdriver, and then place your knuckle on the side of your head, immediately in front of your ear. The sound will travel directly to your ear drum. The idea, here, is for the solid screwdriver to work like a stethoscope. This works for most metal valves, as well. Listen carefully for any sound emitting from the hose-bib. If you hear anything at all, remember where it is (perhaps mark it with chalk), and go to the next one. If the sound emitted gets louder at any of the other hose-bibs, then the water leak is closer to that particular unit. Note that and contact your plumber in Scottsdale: Giving the plumber this information will save the plumber loads of time in finding the water leak, which in turn saves you money. If you survey all the hose-bibs and still find no sound, go into the house and follow the same process with the screwdriver on your house fittings such as faucets in sinks, shower valves, washer, hot water heater (be careful to avoid being scalded when working around the hot water heater). If you are still not sure, just contact the plumber. If you have the valve shut off at the house and the meter has stopped moving, then the water leak is somewhere in the house. Since all of the obvious sources of a water leak inside the house have been checked already your next step should be to contact a Plumber In Scottsdale to have a Electronic Leak Detection performed to determine if you have a slab leak under the foundation of you house. 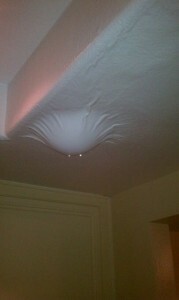 Recognize that in many cases a water leak can be very hard to locate. Not all of the water leaks outlined in this article can be located and if you’re not used to plumbing positioning, you may miss something easily. All the same, if you try these steps, you should be able to find an approximate location and this is a most valuable exercise in itself because it will help the plumber in Scottsdale, making it time saving for the plumber and that translates into savings for you.